We have been designing, and building remodeling swimming pools, water features, and spas for 20 years. We have built a reputation for quality, competitive pricing, and superb customer service. We are experienced and dedicated to our customers and the services we provide, and it shows in our work and our relationships. Remodeling your pool or designing a brand new pool is an investment and we take that seriously. We offer several options to fit your style and budget when it comes to renovating, remodeling,or restoring you pool or spa. Welcome! We invite you to peruse are website and learn more about us, our innovative Phoenix pool remodeling and pool building services. We offer a variety services including remodeling your existing swimming pool, pool deck resurfacing, new pool construction, pool lighting, and water features. Our company, our expert design team, our process and our pool builders are committed to our clients. We invest the highest level of energy in building value with our clients, as well as creating beautiful pools and backyards. ﻿Our history is that of reliability and excellence in both our work and customer service. We guarantee the utmost service and satisfaction. As licensed Arizona Pool Builders, we provide you with affordable, custom solutions for designing or remodeling your pool to create your backyard oasis. Choosing the perfect pool design for your backyard space, bringing the best out in your home and it's value, isn't always an easy task. In understanding this, we work with you from start to finish, to construct and customize your dream pool, into a wonderful reality. Every property is different and unique in it's own way. A new pool or spa can bring out the brilliance of your home property or the plans you have for your business property. There are many ways to customize your pool to reflect your flair and the brilliance of your property. Adding a pool or remodeling your pool or spa is more than just an investment to your property, it's an investment into your relaxation and overall satisfaction. We love exploring the variables of custom pool designs, to really bring to light exactly what you want and that bring the best out in your property. We want to create a place for everyone to enjoy for years to come. Whether you seek to have our hand picked pool contractors build you a brand new swimming pool, add a water feature to your pool, change the pool decking or completely overhaul and remodel your existing pool and backyard space, our team will provide you with exceptional solutions and service. We ask this so that we are able to make sure that we offer you the best options for your budget and design requests. What are you looking for in your pool? Get the most out of your backyard with a beautiful new swimming pool. 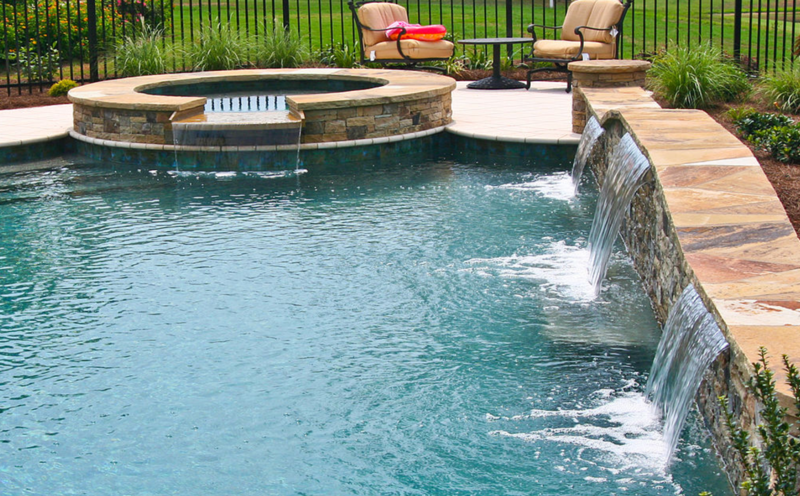 Our team will help bring your backyard to life with innovative architectural pool designs. We handle all of the necessary permitting and make sure all current building codes are met. Need to bring a little life or style to your pool? Whether you need new waterline tiles, water features, pool lighting, or a complete pool remodel, consult with us. We offer pool remodeling for both commercial and residential pool remodels throughout Phoenix and the East Valley. Replace old pebble tech and tile with modern textures and materials. We offer pool deck repair and resurfacing. Our professional pool deck repair and resurfacing services are aimed at delivering value and quality for individual styles and budgets. Why choose our phoenix pool remodel team? Local Experts. Stand Apart Pool Remodeling and Designs. As a seasoned, local Arizona company specializing in pool remodeling and new pool construction, we take the utmost pride in our work. We've been designing, remodeling, and creating custom pools in Phoenix, for both residential and commercial clients for 20 years. We have a knack for our craft and are multi-faceted when it comes to pool and backyard creations. With a variety of pool services to choose from, your needs are sure to be met. Feel confident in reaching out to us to learn more. ​Our hand picked team offers remarkable talent and innovative Arizona pool designs, for every budget and style. ​This ​includes state-of-the-art pool remodeling, resurfacing, pool decking, cool decks, design and new pool build outs. We work diligently to surpass our clients expectations from beginning to end. Choosing the perfect pool design for your backyard space and bringing the best out in your home and it's value, isn't always an easy task. In understanding this, we work with you from start to finish, to construct and customize your dream pool into a wonderful reality. We have been in the industry of remodeling and building custom swimming pools in the valley for many, many years. Many of our talented pool designers have been with us during our journey and are part of the quality we offer..
We are a long time, locally owned business that believes our success is built on the integrity of each job we do. We proudly state that we have built trust equity with our customers, in taking care of their pool and backyard designs needs. Whether you seek to playoff Arizona's beautiful desert landscape with a luxurious, tranquil, desert inspired pool, or have the aspiration for a more sleek, modern, contemporary style pool, we will help transform your backyard into your vision. We offer pool remodeling throughout Phoenix, AZ, as well as new pool builds, customized barbecue pits and fire pits. Our passion is to help our clients bring their custom pool designs to life. Utilizing state of the art technology, our designers will help you map out a three dimensional model of your pool, allowing you to see every nook and cranny of the pool, before it's ever built. Consult with our award winning designers, and explore possible styles and layouts, to help you draw inspiration, and creativity. Learn about modern design features that can be included in your pool, to enhance functionality and appearance. The custom pool industry is constantly developing, so make sure you have someone who is developing with it by your side when designing a custom pool in Phoenix. Let us handle you pool design. Choose from one of our pre-constructed layouts, or explore our portfolio and find something that you like by our award winning design team. No matter how you choose to customize your Phoenix pool remodel or new pool build, , our team will make it all your own, and beautifully transform your backyard landscape. Do you have dreams for your Backyard Oasis? Let's make them happen! No dream is to ambitious when it comes down to it and that includes when we talk swimming pools, pool jacuzzi's and pool features. A pool is more than just a beautiful exterior display for your home. It's a place to escape to after along day of work, your pool sanctuary. It's a place to create cherished memories with your loved ones and friends. It's a place your kids can splash around and play in. And it's a place where you are able to experience the benefits of living in the warm, sunny state of Arizona. It actually becomes an asset for you, especially during the warm months in the desert. Do you already have pool and desire to remodel it? Or maybe you want to add an awesome water feature to your pool, adding a bit of sound therapy on the nights you relax outside? Do you have a pool and fancy adding a beautiful, relaxing hot tub or spa? Do you have the space in your yard, but no idea what is best for that space? 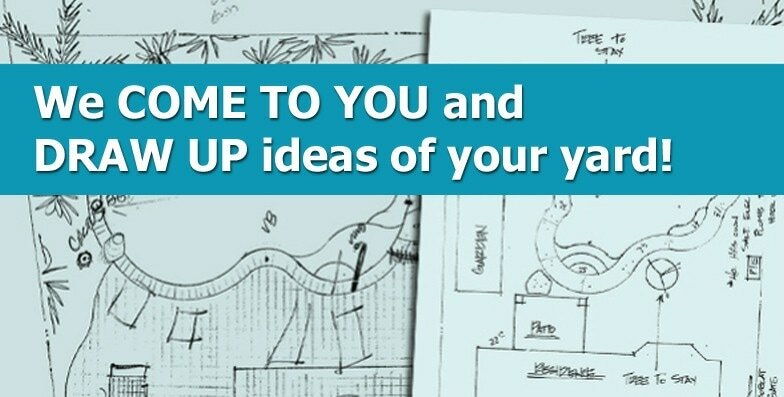 Consult with us, let us help develop, create, plan and implement a magnificent backyard water creation. Again, whether you seek to remodel your existing pool, resurface your pool or pool deck, desire to have a brand new pool or spa built out for you, our comprehensive staff is here to assist you in making sure your needs are met. We will work with you to make sure your pool ideas, pool remodeling desires, and pool water feature needs are cultivated into a magical success. Let us get to work to create a space of enjoyment for you and your family to create memories for years to come. In consulting with us, we offer 3D computer technologies that allow us show you the most accurate and realistic blueprint of what your backyard pool will look like. We invite you to contact and consult with us today!